Attention all entertainers! 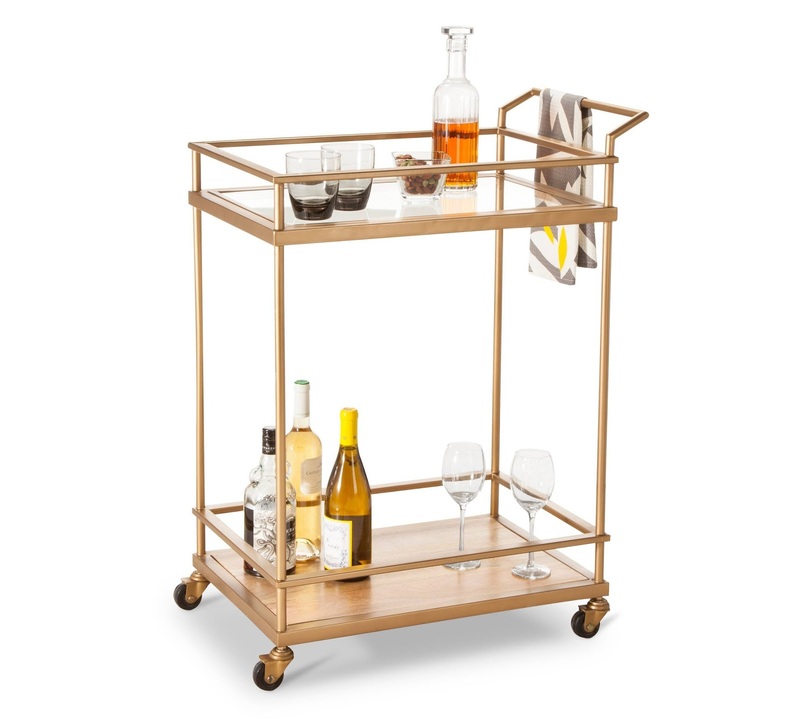 Did you know that bar carts have an unlimited potential for using around the house? 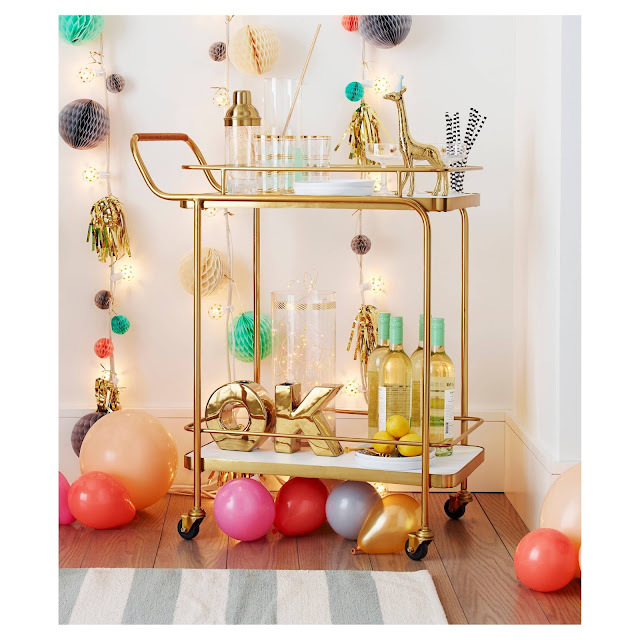 A bar cart is one of those items that every hostess has in her list of essentials. It's like a mini-party on wheels. If you do not own one yet, you definitely need to look into acquiring one as soon as possible. Even if you do not intend to use it as it was originally created, your home will definitely benefit from welcoming it into the family. 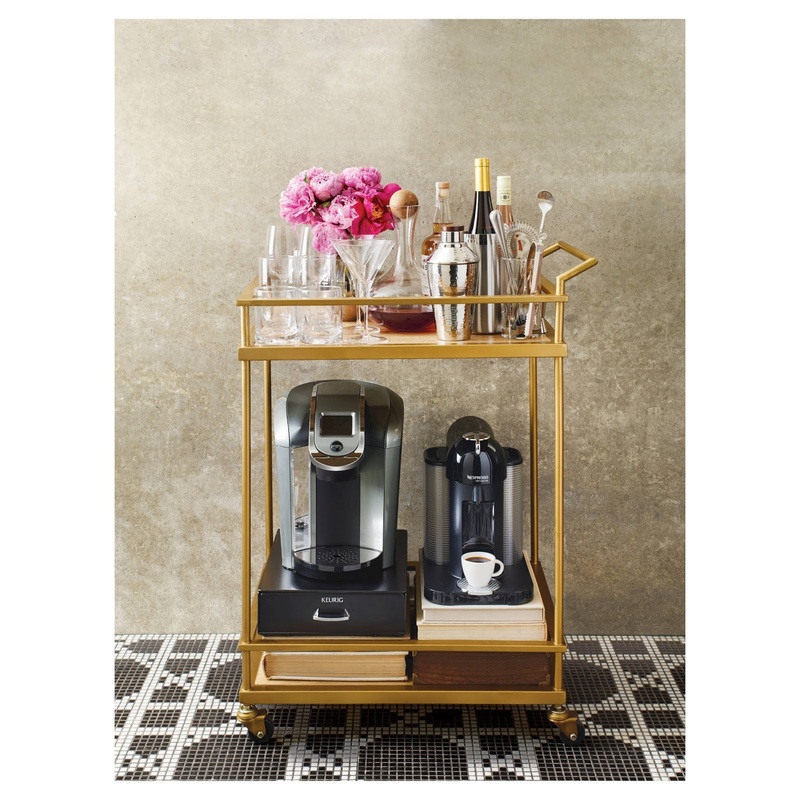 Their versatility is what you will appreciate when you bring it home. As you probably guessed, with so many options and price points, looking for one might become overwhelming. But there's no need to stress out! 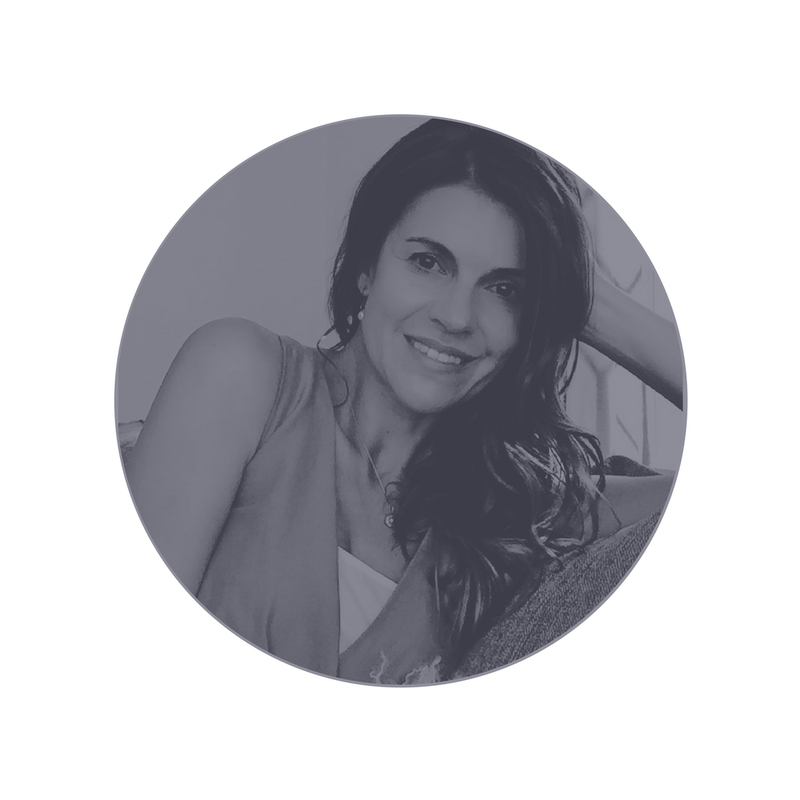 For your convenience, I have put together a small selection of budget-friendly examples. 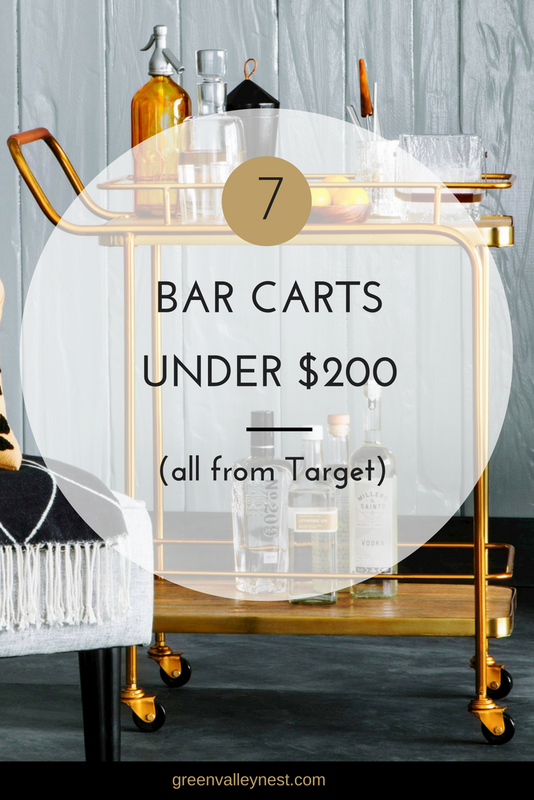 Have a look at these 7 options (all from Target!). 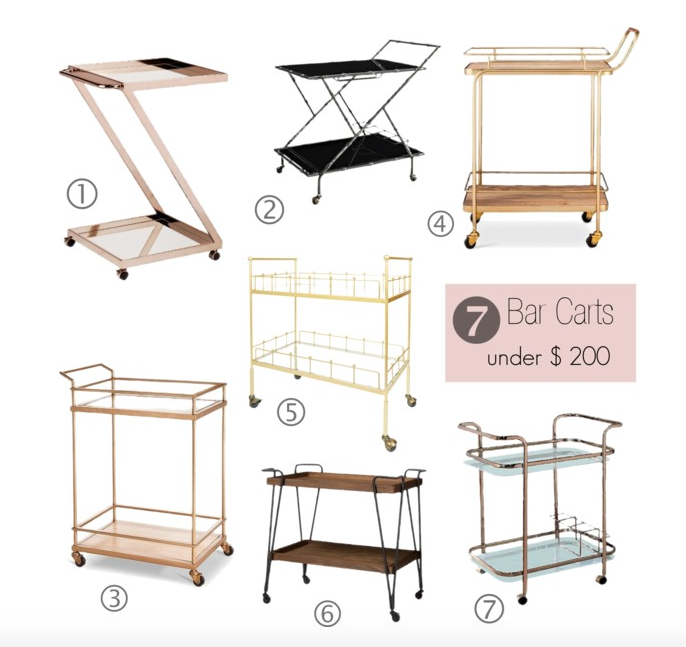 Pick the one you like and stay tuned for a follow-up post on how to style your bar cart for different purposes. All 7 options share the modern, clean lines that work with most spaces. You can select among all these different materials from wood, metal, leather accents and dark finishes. 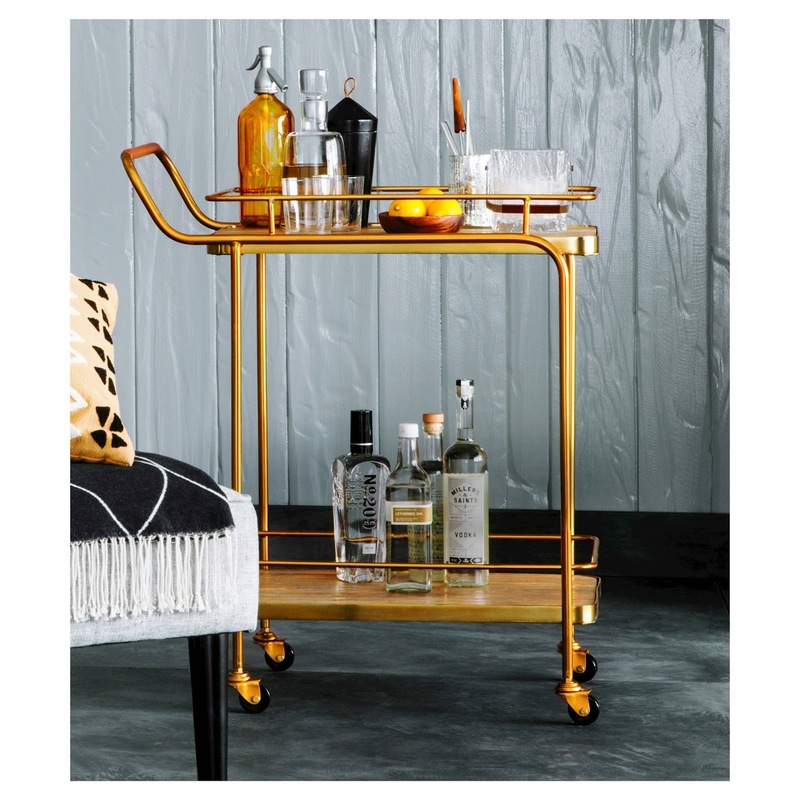 Have you picked your future new bar cart yet?